Over the last few years, the number of QOF points available to practices has significantly reduced, meaning accurate disease register prevalence is more important than ever, in order to maximise your QOF income. Our Disease Register Validation service helps you achieve this by identifying patients that, due to poor data quality, may be missing from your QOF registers. This improves the accuracy of your disease register prevalence and raises the value of each QOF point. Our service also improves care for your patients, by identifying mis-coded patients who are missing the care they need - a situation that, if left unchecked, increases A & E admissions and morbidity. Our QOF team can provide both onsite and remote support. 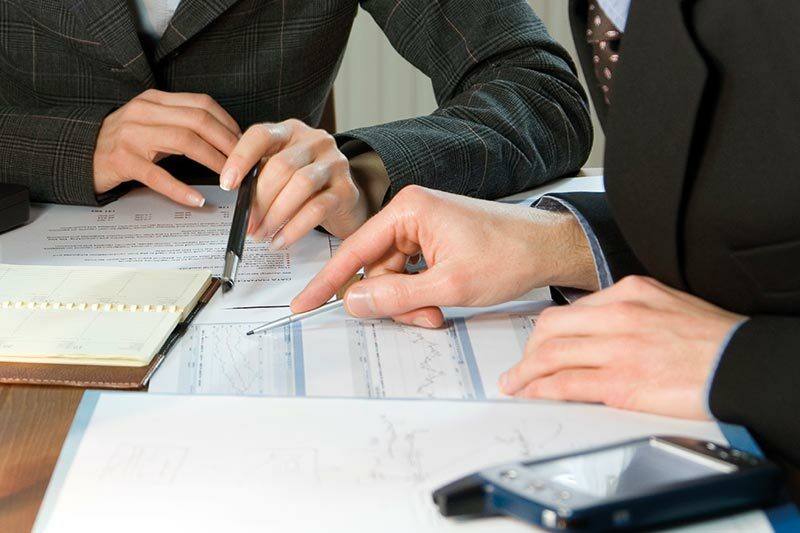 A service implementation manager will support the whole process for you at your premises. Creating and running disease register validation searches. Guiding your staff and clinicians on why patients have appeared on the lists, and how to prioritise patients for review. Unlimited follow up telephone support. With this option we provide a specialised resource package that helps your practice staff to identify mis-coded patients themselves through prebuilt searches. This option also includes unlimited telephone support and remote follow-up to ensure successful completion. Unsure of how much you you have to gain? 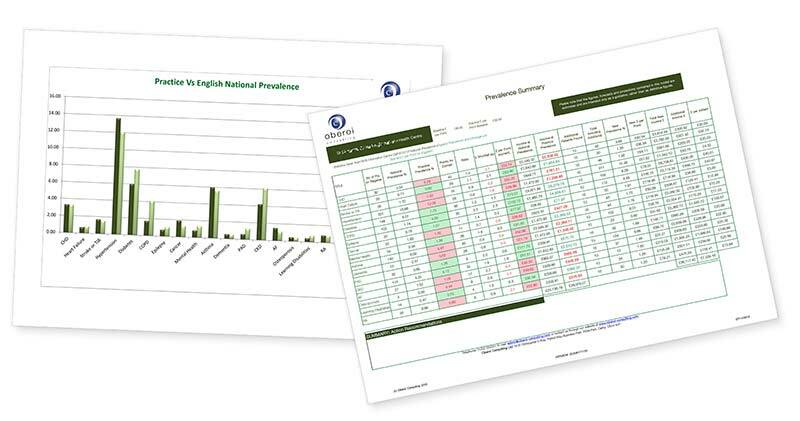 Then simply fill in our online assessment form to get your FREE Predictor Baseline Report for your own practice; which shows how much you could gain. "Your intervention has opened our eyes and we are much more vigilant about appropriate coding. "Every day I works through the list of patients who have been missed off the various QOF registers"
We supported practices across Bradford Districts CCG to maximise its heart failure (HF) QOF points. This was part of a larger project to ensure all patients were receiving optimal treatment. We were faced with the challenge of both HF and left ventricular systolic dysfunction (LVSD) being mis-coded or not coded at all, meaning many patients were not being recalled for annual reviews and/or optimally treated. Some of the original diagnosis codes for LVSD were removed during annual QOF changes, leaving many patients unidentified by practice QOF software as having LVSD and therefore not being highlighted as requiring further intervention. LVSD group prevalence across the CCG increased from 0.27% to 0.41% - equating to 172 patients identified and added to practice heart failure registers. 13 of the 14 practices showed an increase in HF prevalence and QOF point value. 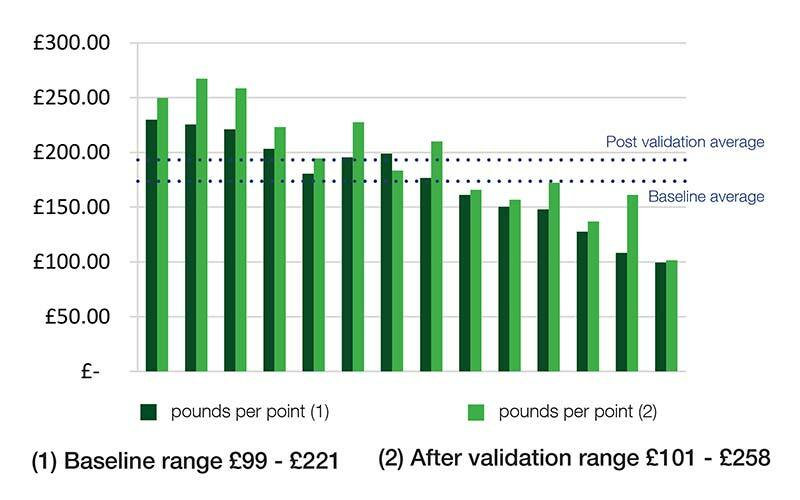 Increase in QOF domain income of £11,388 recorded across all 14 practices post-validation – approx. £800 per practice. Most importantly, increasing the accuracy of registers led to optimal treatment for all patients, ensuring no-one missed routine recalls and the ongoing management of symptoms and heart rate control.